When it comes to preparing for an Ironman or Half Ironman triathlon, let’s just say it’s a marathon, not a sprint. The level of endurance, strength, and dedication it takes to compete in and finish these races is significant. But with the proper training in place to brace your mind and body, you can continuously improve your performance and exceed your goals. The FC Method is an athlete-focused approach to training, designed to target and amplify each physiological system required for race day success. Offered both digitally and locally, this full-circle technique prioritizes sport-specific strength before adding volume, instilling the resilience and power you need to cross the finish line. Do you struggle to balance your busy schedule with effective workouts? Are you overwhelmed by the number of training options available and looking for proven results? Have you been self-coaching for a while and you’re ready to take your training (and results) to the next level? That being said, FC Endurance isn't for everyone. There’s no magic pill or special gadget to Ironman; no overnight success. It’s hard work and dedication. But if you can commit to putting in the work, you will see results. We’ll work together to structure, refocus, and guide your training to bring out your best performance yet – time and time again. Each workout has a purpose. I could feel myself getting stronger. I PR'd my half marathon, I improved my Ironman by 48 minutes (on a tougher course) and I was able to PR an Olympic triathlon by 13 minutes, only two weeks after my Ironman. The biggest difference for me this Ironman is that I felt strong the entire race and I knew I was on m y way to a personal best. Saw so many racers having issues and blowing up them as the race progressed. This was the most excited, confident and prepared I'd ever beer prior to a race. The bike intervals were challenging but I could quite literally feel my legs getting stronger as the sessions progressed. My half ironman personal best at Oceanside 70.3 made all the work worthwhile. 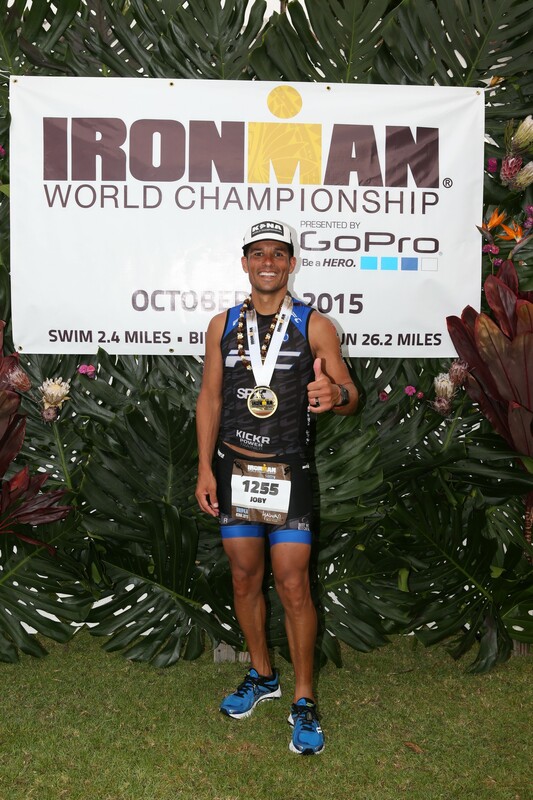 Head Coach Joby Gutierrez has qualified for Kona Ironman World Championships the past four years. But that wasn’t always the case. Previously a baseball player, Joby reluctantly joined his high school track team on a whim to support a friend. As a freshman, he was the slowest kid on the team. But small improvements fueled his motivation, making him work harder for each new goal. After college, Joby once again teamed up with a friend – this time, for a triathlon. He bought a used bike for $60 and trained for three months, finishing in the middle for his age group. But that was all it took. Just like that, he was hooked. Olympic distance triathlons came next, then Ironman. After three races, Joby decided to try and qualify for the Ironman World Championships. He knew it’d be difficult, but he was up for the challenge. Then he plateaued. Despite his efforts, he wasn’t getting any better, leaving him drained and frustrated. 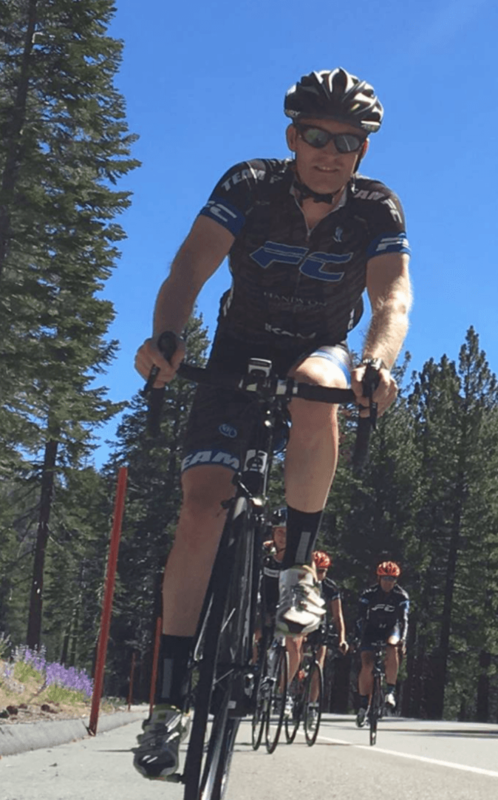 But rather than give up, Joby opted for a change – devoting his training sessions to strengthening his cycling, swimming, and running abilities individually before adding volume. Today, Joby is driven by a strong desire to be better than he was yesterday. He strives to be living proof that if you’re willing to put in the work every day, you can become a better version of yourself – over and over again. In developing the FC Method, Joby has found the secret to getting results without sacrificing your life balance. In fact, as a husband and family man, he relies on efficient workouts to have him home by the time his daughters are out of bed in the morning. What could you accomplish if you’d just make the time? And this time, let’s make it happen. Who will see you to the finish line? Joby’s journey to Ironman was a marathon of continuous improvements over time, building him into a 4X Ironman World Championship qualifier. Throughout this process, he developed the FC Method, designed to strengthen athletes in each individual facet of a triathlon. A renowned coach, Joby takes a unique approach to training – preparing athletes for the physical endurance and mental perseverance needed to excel. A seasoned cross-country runner turned rower, endurance sports were nothing new to Jillian. She was drawn to triathlons for the challenge of a multi-sport discipline, entering her first sprint distance triathlon at Disneyland in June 2008. She was instantly hooked. Since then, Jillian has gone on to complete her first Ironman 70.3 at Vineman in July 2009, and officially became an Ironman in August 2011 at Ironman Canada. 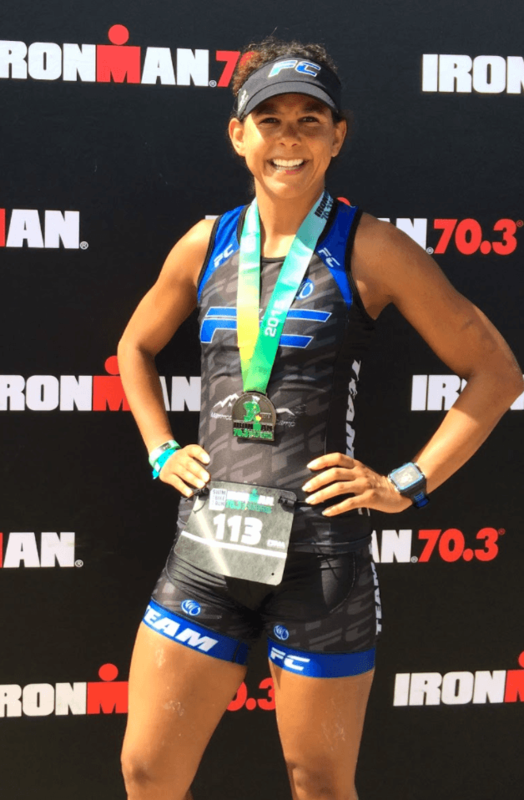 She’s qualified and competed in two ITU Long Course National Championship races (2011 + 2012), earning herself a spot on Team USA at the ITU Long Course World Championships in Vitoria, Spain in July 2012. Jillian’s competitive edge, dedication to training, and perseverance has allowed her to continually surpass her personal bests and provide unwavering support to her colleagues, friends, and teammates. Adam is an accomplished triathlete, with (4) sub-5-hour Half Ironmans and (1) full Ironman race under his hydration belt. After swimming competitively throughout all four years of high school, he competed at the collegiate level, earning All American honors. Currently, Adam coaches a high school swim team in addition to his FC Endurance athletes. His love for the sport and dedication to help others has motivated him to continue striving for his best every day. How can we help you get the most out of your season? © 2018 All Rights Reserved Fitness Coaching.